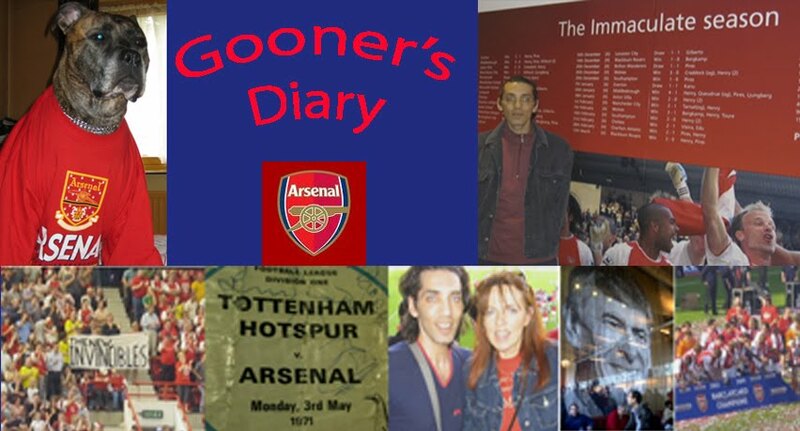 Gooner's Diary: He Who Laughs Last.....! more than welcome to get back to me and I will forward it to you. double-decker bus passing along St. Johns Wood Road. the match had been decided. listening who was actually interested in the wind speed at Doggerel Bank!! waving or shouting, when England eventually achieved success. man of the match, Radio 4 went straight to the delayed Shipping Forecast! worrying about being late for my deadline (so what else is new!). to know the secret of how Kev is capable of making sure I am not late!! round to sit somewhere better. Stadium, our tickets were for the two seats directly next to their three!! opportunity to celebrate their only title triumph in half a century. us taunting this miserable turn-out with "are you Blackburn in disguise?". which suggests that there is still little to choose between these two sides. opportunity to embarrass their betters. between matches, for me to forget quite what a nightmare the journey can be. of such an arduous outing to Wales. starving for the main course.